To say that all humic acids are the same is to say that all wines are the same. Although most wines come from grapes, there are different growing regions, different varietals, and different blending techniques. In the end, they are all wine, but not all wines are created equal. Humic acids, like wines, are dependent upon the raw materials and the blending techniques used, which determine their purity and efficacy. Have you ever used a humic acid product that had a significant layer of sludge at the bottom of the container? Has your use of humic products produced inconsistent results or no results at all? Is the price per acre and the quantity needed more than your budget can tolerate? Are you looking for additional nutritional or supplemental value in humic products? If the answer to any of these questions is yes, then it is time to take a look at 3 Tier’s humic technologies. look the same, the benefits of high-grade humic acids can only be seen at the molecular level – and in the performance of the product. ballast at the factory, rather than in the bottom of your container. The Products: We combine Carboxx™ with the highest quality natural and food grade elements, advanced microbial and enzyme technologies, creating a line of products that provide multiple benefits for maximum performance and value. Our products are available as fertilizers, soil conditioners, and nutrient supplements that can be used alone or in combination. Within every square foot of soil there exists a unique bio-environment that contains millions upon millions of beneficial and nonbeneficial microbes, bacteria, fungi, and other soil organisms. In balanced soils, these micro-organisms coexist naturally. Traditional petrochemical-based fertilizers, pesticides, fungicides, and herbicides have contributed to an imbalance in the natural ecosystem. Expanded use of these chemical-based products have led to chemical resistant strains of diseases and inhibited soil nutrient performance. Traditional attempts to restore damaged soils used chemicals to try to reverse the chemical damage, which added insult to injury, and made the problem worse. Recently, microbial restoration has been attempted, but these attempts often failed because the microbial products were not strong enough to alter the indigenous bio-system or correct the imbalance caused by the years of chemical usage. 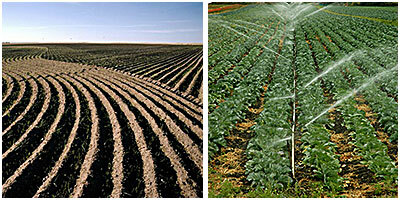 3 Tier’s microbial products have important advantages over other microbial products. We offer a distinct microbial package that contains a diverse blend of naturally occurring soil microbes preserved in an all-natural preservative package, allowing the microbes to awake easily when mixed with water. While competitive products often contain between 100 and 300 billion microbes per gallon, the 3 Tier microbe package is concentrated with 757 billion colony forming microbes per gallon. 3 Tier microbial products also include Bio-Cat Booster, an ultra concentrated, non-bacterial, readily biodegradable natural enzyme product consisting of a nutrient-rich extract with a broad-spectrum package of identifiable enzymes, coenzymes, amino acids and other proteins. Blended with the enzymes is a package containing five different surface tension reducers. This complete combo provides the critical foundation and support for a healthy and active biological structure in the soil. 3 Tier’s Programs provide the cost effective tools to cleanse your soils, restore nutritional and microbial balance, increase natural disease management, and provide an advanced platform for nutrient delivery whether by foliar or soil applications.